Ford made widespread use of aluminum in the new Expedition’s construction, similar to the changes with the F-150. Its front end adopts a bolder design characterized by a strip of chrome trim that connects the headlights and the mesh-style grille, while upmarket variants receive fog lights surrounded by C-shaped trim. 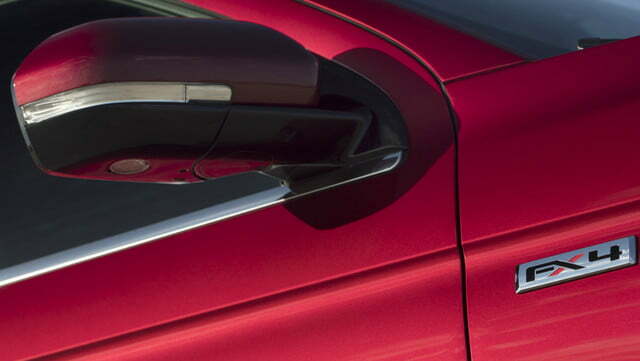 A crease right above the door handles reduces the Expedition’s visual mass. Inside, there’s room for up to eight passengers spread out over three rows of seats. The second and third rows fold flat at the push of a button to reveal a cavernous cargo area big enough to swallow a 4 x 8-foot sheet of plywood. 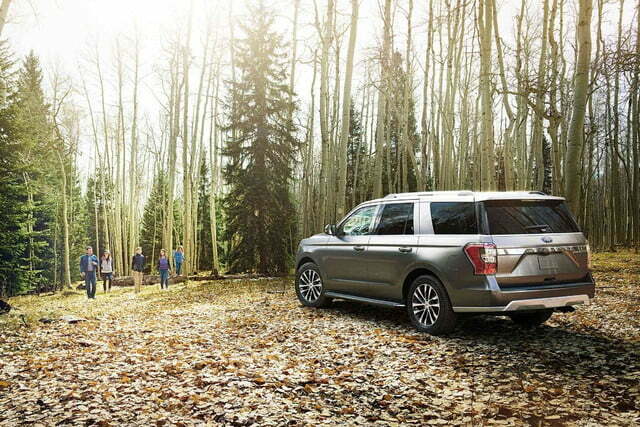 The standard Expedition is massive by most means of measurements, but buyers who need even more space can select a long-wheelbase model, now called the Expedition Max. The only engine available for the 2018 Expedition is a 3.5-liter EcoBoost V6 with auto stop-start that shifts through a 10-speed automatic transmission. Rear-wheel drive comes standard, and four-wheel drive is offered at an extra cost. 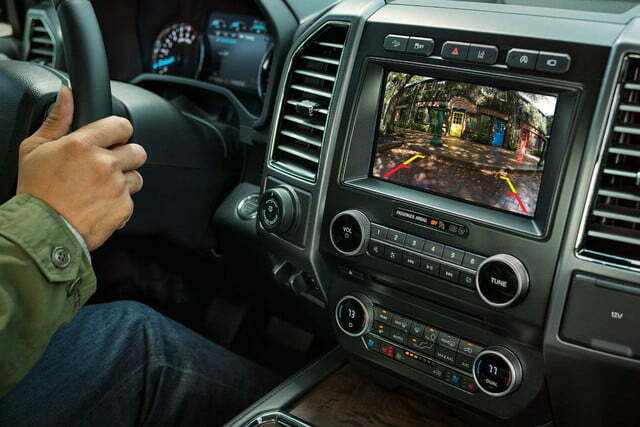 Ford also upped the Expedition’s tech game. The list of convenience features now includes a hands-free tailgate, a wireless phone charger, a Wi-Fi hotspot, and Ford’s pro trailer backup assist feature, which makes backing up with a trailer a breeze. Four 12-volt power points, a 110-volt outlet, and six USB ports keep all your devices topped up. Properly equipped, the Expedition can easily serve as a mobile office. All trim levels have ABS with brake assist and electronic brakeforce distribution, Ford’s AdvanceTrac with Roll Stability Control, electronic stability control, traction control, and trailer sway control. Limited and Platinum trims ride easier with a continuously controlled damping suspension (optional with the Limited, standard on the Platinum models). All 4×4 models have both hill start assist and hill descent control. 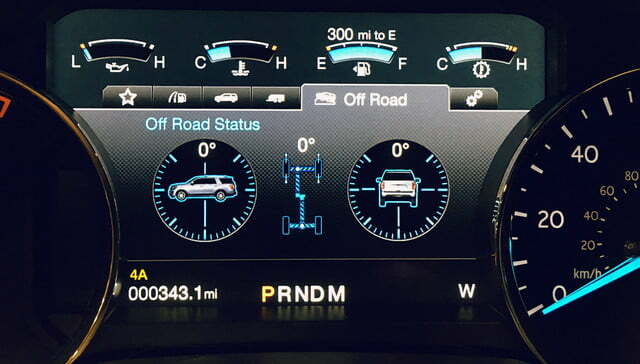 The Expedition’s Terrain Management System lets the driver select from five preset drive modes in 4X2 models: Normal, sport, tow/haul, EcoSelect, and snow/wet. Seven drive modes are available for 4X4 models: Normal, sport, tow/haul, EcoSelect, grass/gravel/snow, sand, and mud/rut. 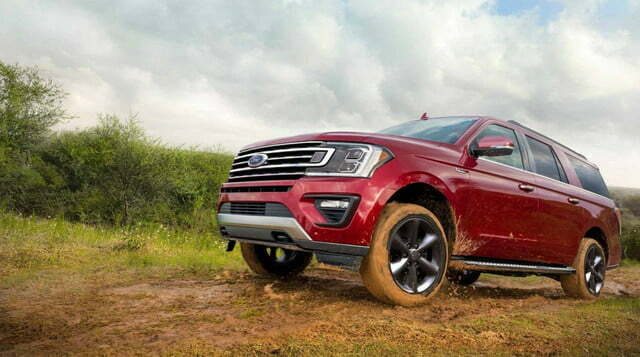 According to Ford, fully 20 percent of Expedition owners take their big SUVs off-road. 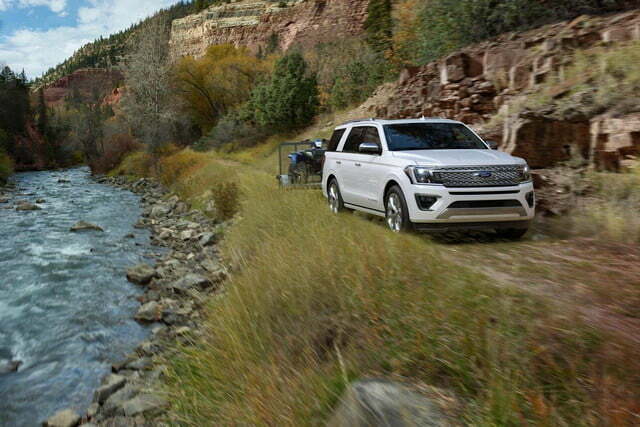 This year Ford offers a ruggedized Expedition XLT FX4 edition for off-road use. 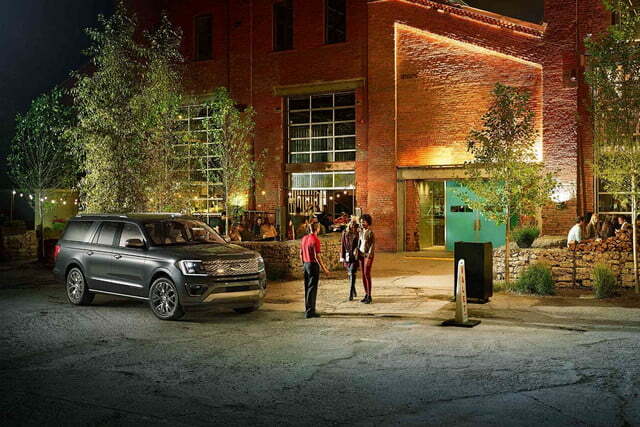 Passive safety and driver assist technology abounds on the new Expedition. All 2018 Expeditions have a rearview camera with backup assist guidelines and a washer, and a tire pressure monitoring system. 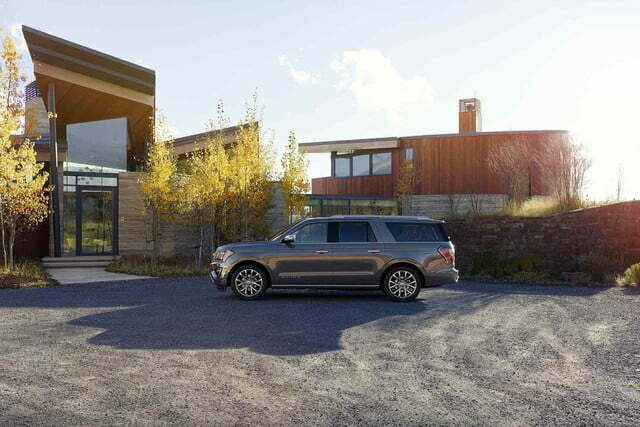 Users can also remotely start, lock, and unlock the Expedition via a purpose-designed smartphone app named FordPass. The higher level, more expensive trims have increasingly complete safety tech suites along with more comfort and convenience features. The table below shows the passive safety and driver assist tech that’s standard, optional, or unavailable for each trim. To make it easier to decipher, we’ve used bold type for the standard features. There’s a lot to like about the 2018 Ford Expedition, but liking everything can get pretty expensive. Based on starting prices, the range in cost between a 4×2 Expedition XLT ($51,695 ) and a 4×4 Expedition Platinum Max ($78,545) is $26,850. Looking at it another way, if you bought a two-wheel drive Expedition XLT instead of a 4-wheel drive Platinum Max, you’d have enough left over for a 2018 Mustang EcoBoost with a black accent package. 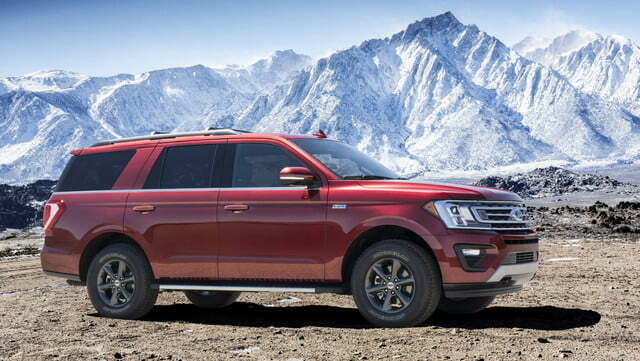 Keeping in mind why you need and want (not necessarily the same) an Expedition, the decision comes down to three factors: 4×2 or 4×4; short or long wheelbase; and the overall level of comfort, convenience, luxury, and safety features as represented by the three trim levels. Averaging the starting prices of all variations, here’s how the choices break out. Choosing four-wheel drive over 2-wheel drive is a $3,100 decision. Regular versus long wheelbase (the Max version) is a $2,700 decision, again on average. So, within a specific trim, the list price difference between a two-wheel drive regular length Expedition and a four-wheel drive Expedition Max is almost $5,800. The cost difference between trim levels is more extreme than size or drive wheels. On average for all four configurations (short/long, 4×2/4×4), an Expedition Limited costs just under $11,000 more than an Expedition XLT and the price jump from the Limited to Platinum trim is $10,135. Moving from an XLT to Platinum trim, therefore, is about a $21,000 jump, roughly the price of a 2018 Ford Fiesta ST. Vehicle size, drive, and trim decisions within a given model aren’t based solely on cost, usually, because you do get more for your money as you move up the price list. So let’s break down what comes with each model. 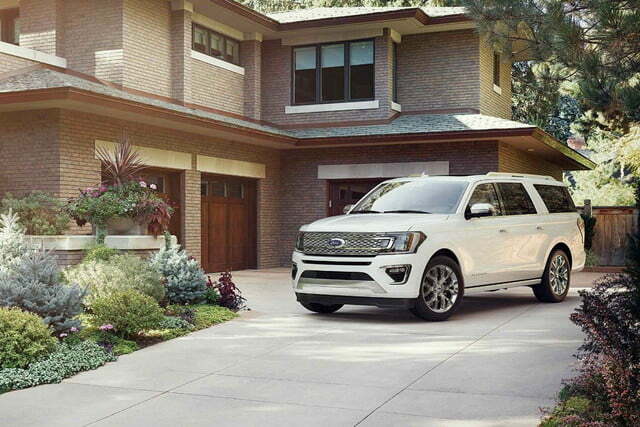 The “smaller” Ford Expedition is anything but. 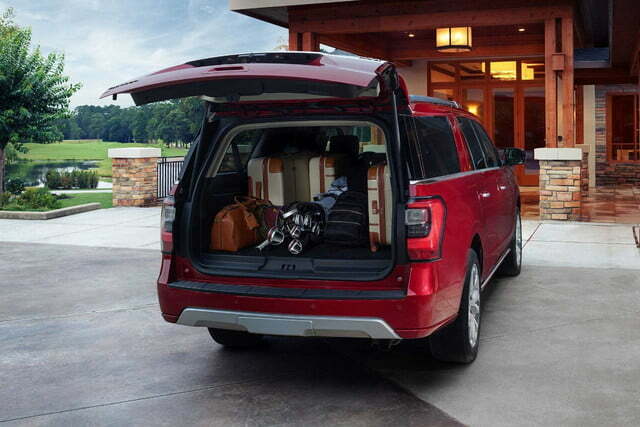 Picking just one dimension, cargo storage space behind the second seat, the 2018 Expedition holds 63.6 cubic feet versus the 2018 Chevy Tahoe’s 51.7 cubic feet, the 2018 Ford Explorer‘s 43.9 cubic feet, and the 2018 Chevy Traverse’s 57.8 cubic feet. In a word: “Roomy.” The Expedition Max beats the regular version with 79.6 cubic feet. The fuel economy difference between the Expedition and Expedition Max is insignificant, based on the EPA ratings, so that wouldn’t factor in a decision. Parking and maneuvering might matter, however. Even with parking assistance, the 210-inch long Expedition is already a large vehicle. The Expedition Max’s extra 12-inches in length adds to the hunt for the right parking spot. 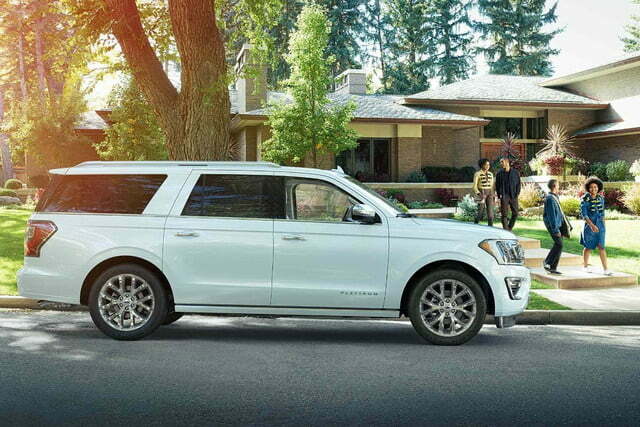 Assuming the Expedition is large enough, let’s take a look at the trim level differences. The 2018 Expedition XLT starts at 51,695 with 2-wheel drive and $54,705 for a 4×4. The XLT comes with 18-inch wheels, cloth seats, flat-folding second and third-row seats, and a six-way power driver’s seat. Standard equipment includes single-zone climate control with rear auxiliary controls. Ford’s SYNC voice recognition communications and entertainment system manages an AM/FM stereo with MP3 capable single CD player, and nine speakers. There are two smart-charging USB ports in the front and second rows, and four 12V power points. 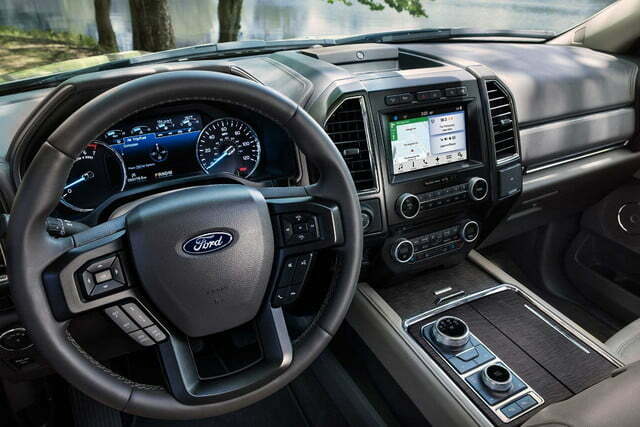 Up front, the XLT driver sees a 4-inch information cluster display and find power door locks, power windows, illuminated entry, power-adjustable pedals, power adjustable heated side mirrors with security lamps, integrated blind spot mirrors, and a leather-wrapped steering wheel with audio and phone controls. The XLT also has reverse-sensing, a universal garage door opener, push-button start, halogen fog lamps and headlamps, and fixed running boards. 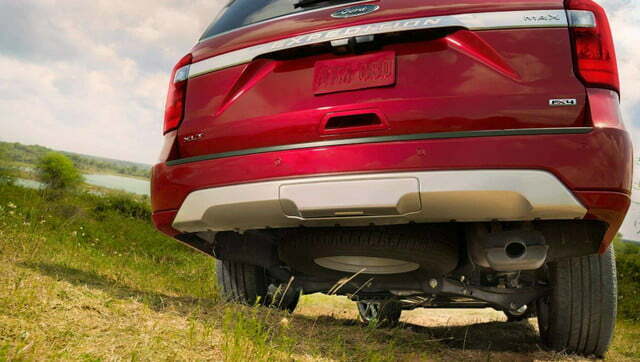 For the one in five owners who takes their Expedition away from paved surfaces, Ford offers the FX4 Off-Road Package. New for 2018 and available only for the 4×4 Expedition XLT and XLT Max, the FX4 option package includes electronic limited slip rear differential, off-road-tuned shocks, all-terrain tires, seven underbody skid plates, special 18-inch wheels, removable rubber floor liners with deep sills, chrome running boards, and special badging. The FX4 package itself only costs $1,650 but requires an extensive additional feature upgrade package. The least expensive Expedition XLT FX4 lists for $61,960. If you super-size it, the Expedition XLT MAX FX4 lists for $64,645. Approximately $11K more than the XLT trim, the 2018 Expedition Limited starts at $62,585 with 4×2 drive and $65,705 for 4×4. The extra cost brings a long list of comfort and convenience features as well as a few more standard safety features. Most, but not all, of the additional safety and other features that come standard on the Platinum trim, are available as options for the Limited version. Limited trim standard upgrades include 20-inch wheels, perforated leather heated and ventilated front seats, power folding second-row seats, heated second-row outboard seats, power fold and recline third-row seat, power folding third-row headrests, and 10-way power driver and front passenger seats. 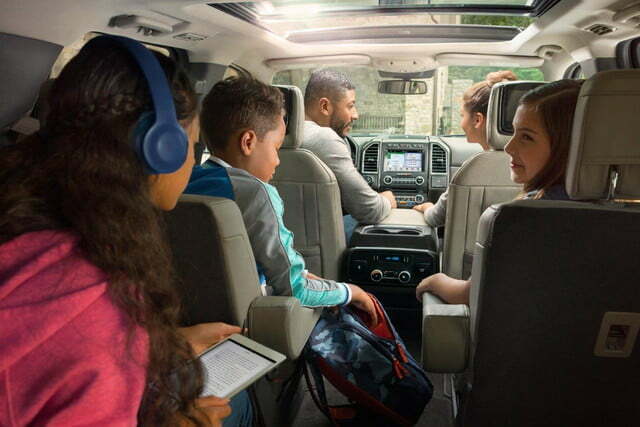 Other additions include dual-zone climate control, SYNC 3 voice recognition communications and entertainment system, SYNC Connect and Ford Pass, HD Radio, and a 12-speaker Harman B&O premium audio system. Limited models have two smart-charging USB ports in the third row, wireless charging, an 8-inch information cluster display, illuminated entry, and memory settings for driver’s seat, foot pedals, and mirrors. Additional features include a Wi-Fi hotspot, 110V power outlet, heated steering wheel, and remote start. Added safety features include forward sensing, blind spot monitor with cross-traffic alert with trailer tow monitoring, plus the super-convenient hands-free foot-activated liftgate, power running boards, and power folding heated side mirrors with integrated turn signals. 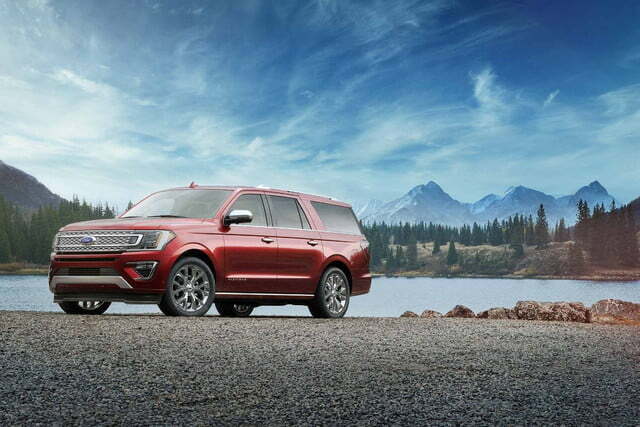 If you want it all, and especially if you want the full safety and assist suite, the 2018 Expedition Platinum starts at $72,710 with two-wheel drive and $75,855 for the four-wheel drive version. Niceties included with the Platinum trim include 22-inch wheels, multi-contour seats with active motion, and voice-activated touchscreen navigation with pinch-to-zoom, and SiriusXM Traffic and Traffic Link. The topped-off safety suite adds enhanced active park assist system with parallel parking, park out assist and reverse perpendicular parking, adaptive cruise control with stop-and-go, auto high-beam headlamp, lane-keeping assist, lane-keeping alert, driver alert, pre-collision assist with pedestrian detection, and enhanced active noise control. Expedition Platinum models also have automatic wipers, LED fog lamps and headlamps, a panoramic moonroof, and a 360-degree camera view. If you truly need or just want, the largest and greatest capacity SUV, the 2018 Expedition MAX version add a foot in length and 16 cubic feet of storage inside. The average $2,700 extra cost for the Expedition Max, all other vehicle details being equal, buys the extra room without a major fuel economy hit. 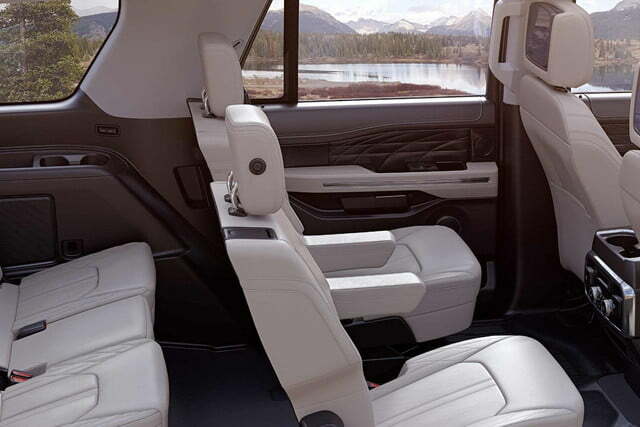 The only difference between an Expedition and an equally configured Expedition Max is longer wheelbase, longer overall size, and interior space. If you don’t mind parking it, the Expedition Max trims include the same feature sets as the shorter model, so we won’t repeat it all. The 2018 Expedition XLT Max lists for $54,385 with 2-wheel drive, $57,390 as a 4×4, and the off-road-enhanced 4X4 Expedition XLT MAX FX4 lists for $64,645. In Limited trim, the 4×2 2018 Expedition Max starts at $65,270 and the 4×4 model at $68,400. 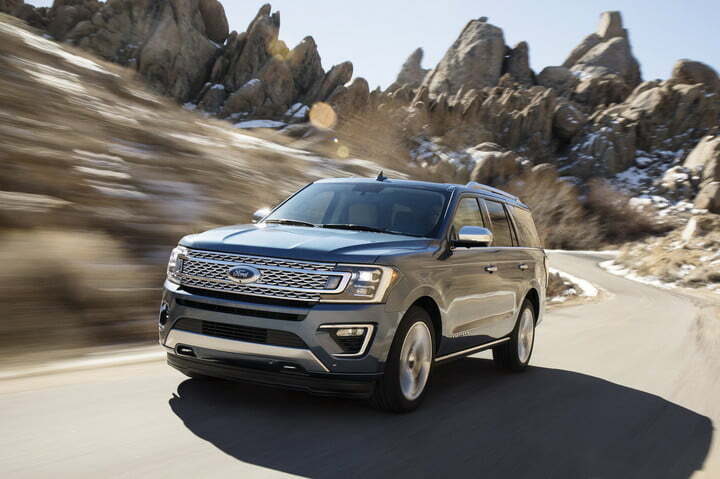 The largest with the most, the 2018 Expedition Platinum Max pricing begins at $75,400 with 2-wheel drive and $78,545 with power delivered to all four wheels. 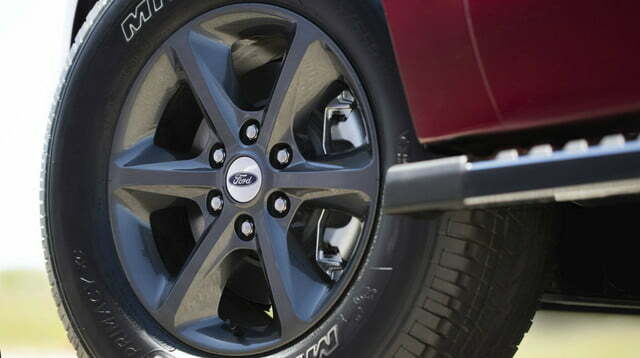 Just to see what it would add up to, we used Ford’s price configuration tool. A maxed-out 4X4 2018 Expedition Platinum Max with all available options and packages, including a heavy- duty trailer package, dual headrest rear-mounted DVD players, and 2nd-row bucket seats, lists for $83,405. If you decide to personalize further, you can always spend more for custom work.